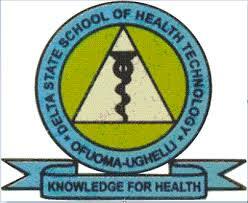 The Delta State College of Health Wishes to invite suitably qualified candidates to apply for admission into the Delta State College of Technology Ofuoma-Ughelli for the 2017/2018 Admission Session. Prospective candidates should possess five 5 credits as in WASCE , NECO, OR GCE O LEVEL at not more than two 2 sittings . The five credit must be in the following subjects; Biology, physics, chemistry, mathematics and English at not more than two sittings. Prospective candidates must posses three 3 credits in WASC , NECO, SSCE, GCE O LEVEL Examination at not more than two 2 sittings. The three credit must includes; English language, biology, mathematics and any other two passes which includes (i). anyone of physics, chemistry, geography,food and nutrition and anyone of economics,agriculture ,account or commerce. Prospective candidates should possess four passes in WASC,SSCE, and GCE OLEVEL or NECO grade II OR NABTEB certificate at not more than two sittings. The four 4 passes must include a pass in one 1 science subject, biology/health science, chemistry, nutrition, physics, general science or integrated science and English language. Prospective candidates should possess four credit passes in WASC, SSCE, and GCE OLEVEL or NECO Examinations. The credit passes should include mathematics , English language, biology/health science and anyone of the following subjects; chemistry , economics or geography at not more than two 2 sittings. FI. HEALTH INFORMATION MANAGEMENT N.D COURSE. HI. PUBLIC HEALTH NURSING COURSE. Prospective candidates must possess SSCE, NTC, WASC,GCE, NECO with four (4) credit level passes in Mathematics, Physics, Chemistry, Biology and a pass in English at not more than 2 sittings. 2. Ensure that all spaces are correctly filled the online submission of the form. 4. Candidates are to obtain pin number from any zenith bank branch in Nigeria, on payment of a non-refundable fee of eight thousand five hundred #8,500 only and log onto the school website www.deltashtportal.com to register online.